Blurring the lines between fashion and faucets. Brizo® – the premium faucet brand crafted by Delta Faucet Company – is proof positive that form and function are one and beautifully the same. 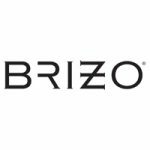 The essence of a Greek goddess who appeared in the dreams of mariners is reborn in the household fashion label Brizo, which exemplifies inspiration, beauty, performance and reliability. It’s a premium faucet brand that promises distinctive design, inventive faucets and accessories that will live up to homeowners’ expectations of elegant style and functionality and will make a fashion statement in the home. Brizo® is supported by a Canadian customer service and sales and marketing team. For more information on the Brizo Sales and MAP Policies, click here.